I want to change my registered account name? Cobo Candy is our official point system, and can be used across all Cobo products and platforms (including Cobo Wallet, Cobo Vault and Cobo Custody) to access perks, gifts, and special promotions. 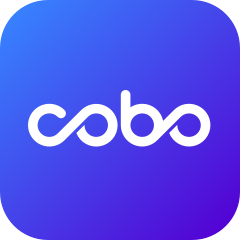 Established in July 2017, Cobo Wallet is the world's first leading wallet to offer staking and masternode rewards, making it easy for users to grow their digital assets effortlessly. Complete in-app and event missions to earn Candy, such as inviting new friends to Cobo Wallet and Deposit! In the future, we'll continue adding fun ways to get more Candy. For new and old users alike, [inviting new friends] and [Deposit] to Cobo are always the best ways to earn Candy! You can continue to earn candy for each additional person that your friend invites, or who has [Deposit] (as well as the invites from friends of friends). lt's candy all the way down! Cobo reserves the right to interpret and amend the rules regarding ellgility and use of Cobo Candy ("CC"). Click on the icon below and get your own invite code--come to Invite And Earn More CC! How do I use my CC? CC is Cobo's only official Candy, with a total circulation of 10 billion, which can be used as a basis for all future value-added services and platform application scenarios launched by the platform. Coming soon: you can Spend CC on cryptocurrency like BTC/ETH and lots of airdrop token, also you can spend CC on gift cards and other prizes in our in-app store. We're airdropping 100 Million, CC! Newly registered users will receive up to 500CC just for logging in! Invite a friend to both receive 300 cc! After your friends deposit he/she will get 5000 CC,and you will receive 3000 CC, too. For each friend your referral invites, you will continue to receive CC! Cobo Mission Center and Cobo Candy Mall are about to open, please stay tuned!